In 1978, an English actor named Peter Turner met the film star Gloria Grahame in the UK, where she was performing in a play. Nearly thirty years his senior, she intrigued the young man. They became friends, then lovers, and eventually lived together for a time in the actress's Manhattan apartment. When the relationship turned sour, Turner returned to his parent's Liverpool home. Then one day, he received a call that Grahame was in London and seriously ill. Film Stars Don't Die in Liverpool tells the story of what happened after that call and of the relationship that transpired before it. Originally published in 1986, five years after Grahame's death from cancer, this unusual memoir has now been reissued in anticipation of a new film based on the book, starring Annette Bening as Gloria and Jamie Bell as Peter. It's a portrait of a brief episode, a quirky relationship, and of an independent-minded actress who preferred honing her craft to playing the movie star. Turner sets the stage for his story at a large Victorian-style house in Liverpool. Owned by his sister, but occupied by his parents, it is divided into three flats: the top rented to students, the middle for guests, the bottom preferred by his mother and father. When Gloria became ill, she took up residence on the middle floor while the family tried to decide how to care for this dying woman who refused to go to the hospital. Having raised nine children Turner's mother had a flair for organization and intense maternal feeling, skills which she applied to caring for Grahame when she learned the actress had cancer. Grahame's allies also include Turner's brother Joe and wife Jessie, who scramble to find her health food, bring her doctors, and in an amusingly awkward episode, to hire a nurse who quickly becomes too drunk to be of any use. The chaotic, sad and occasionally humorous story of Grahame's residence in the Turner home is juxtaposed with tales of Peter's relationship with the actress. In addition to their days in New York City, they spend time together in the apartment building where they meet, in Hollywood, and along the coast of California. Turner describes an unpredictable, unconventional, and ultimately devoted relationship. Though there is some talk of Grahame's films and career, this is for the most part a personal story. After a few glamorous years as a Hollywood star, Grahame settled into a simpler life that seems to have suited her. She had a trailer by the Pacific Coast Highway by the ocean, with a wooden cabin on the end for a day room and in a park with a pool. She hated to shop, and wore whatever clothes she was given or could take on from other people. Her standard uniform was dark jeans, a crisp white shirt, a black jacket an a tie around her neck. She had large feet and struggled to find shoes. When she found a pair of black, suede stilettoes that fit, she wore them for the rest of her life. One night at the theater, a man gave her his fur coat because he wanted her to look like a movie star. Turner describes the way she would spend long periods thinking quietly to herself, enjoying being lost in thought. It is a flattering portrait of Grahame, who is portrayed as intelligent, unpretentious, and just mercurial enough to earn the title of actress. 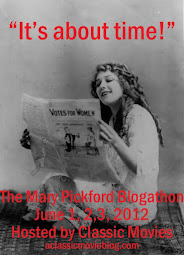 She avoided gossip, though she certainly created it, ignored columnist's calls, and otherwise refused to play the fame game. As her mother commented, "Gloria likes to do things her way." The book is so heavy with lengthy quotes that you can't help being a bit suspicious of some of the details, but you get the sense that the essence rings true. It can be a bit self-indulgent, but for the most part the focus is on Grahame, who even in her dying days couldn't help but be glamorous, fascinating and utterly lovable, and the family who loved her for the person that she was. Many thanks to Picador for providing a copy of the book for review. This sounds really intriguing. I don't know much about Gloria G.'s personal life, and I like that this book has a flattering view of her. It's an interesting little book. I think its fair to her. It wasn't easy for her to do things her own way, but she managed that very well. 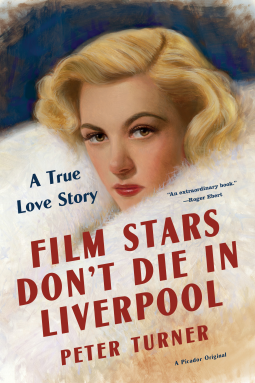 I'm from Liverpool and of course was intrigued by the title of this book.I read it when it first appeared and had followed Gloria's career ever since "Its a wonderful life" She was unforgettable in a unforgettable film! ETS Liverpool.